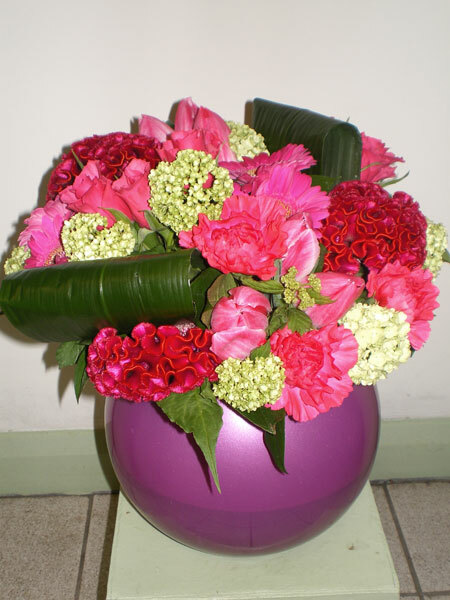 Selection of choice Designer flowers in a globe vase individually arranged by one of our florists from seasonal flowers in your choice of colours. 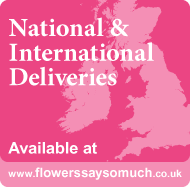 Available in a range of sizes - photo shows Standard size in pink. Actual flower varieties may vary with season. 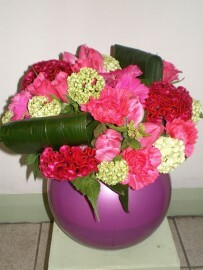 Vase may vary from design shown depending on stock availability but every effort will be made to provide a similar design.